If I had cherished sin in my heart, the Lord would not have listened. (Psalm 66:18). 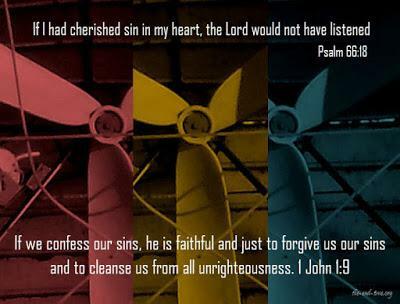 If we confess our sins, he is faithful and just to forgive us our sins and to cleanse us from all unrighteousness. (1 John 1:9). Prayer straddles our lives both on earth when we pray and in heaven when Jesus hears. All week I'm focusing on prayer. It's important. I need to do better in my life, and I can't imagine a Christian who doesn't think they can do better at prayer either. Prayer meetings are the throbbing machinery of the church. Last weekend, I was thinking of one of Spurgeon's sermons, called God’s Providence. (#3114). Spurgeon likened the cherubim's acts near the throne and the wheels within wheels as described by Ezekiel as machinery of Providence. He described, hypothetically of course, the wheels going up and down and left and right in tandem as the machinery of Providence carrying out God’s will and decrees. It’s an interesting thought, and Spurgeon is vivid about his descriptions. This series of 'prayer machinery of heaven' is inspired by those two thoughts. Please enjoy this scripture photo I made of the machinery of prayer. Under that will be some further resources on prayer suggestions. There are two 'If's' there. If we confess, He is faithful to forgive. If we hold onto our sins and cherish them, He does not listen. Prayer is the vehicle of communion with the Lord, and dealing with sin is the oil that expedites the prayer or it falls to the ground with a thud. 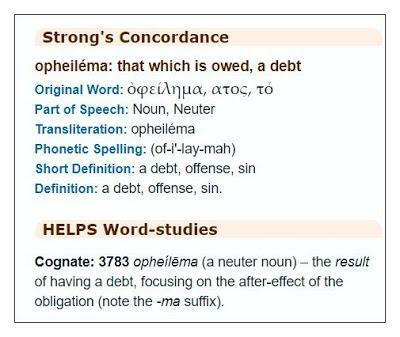 And forgive us our debts,.... Nothing is more frequent in the Jewish writings than to call sins "debts"; and the phrase, of forgiving, is used both of God and men. And to Him we owe it all! Jesus paid it all, all to Him I owe!!! He paid the debt, and He set us free. We are mindful of the two 'Ifs' however, do not cherish sin, and confess it daily. What a privilege to pray. What a gift that He hears us. Prayer Machinery #2: Praying for pray for our Elders (pastors, deacons, teachers, etc). Prayer Machinery #5: A focus on Jesus in heaven who hears our prayers, and what a comfort that is.